Enaspol GmbH, 100% subsidiary of the Czech joint stock company Enaspol a. s., has entered into agreement with Gemini Holding AG, a successor to the Hansa Group AG, for the acquisition of assets of the sulphonation plant on production of anionic surfactants in the German city of Düren, federal state North Rhein-Westphalia. The agreement came in force at midnight of July 16, 2015. 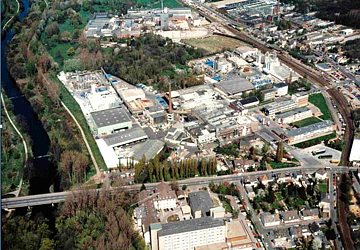 Similarly to the production site in Velvěty, the Düren plant has long-time tradition in research and production of surfactants. Sulphonation unit in Düren was built in the 1960s by Akzo Nobel, a company always belonging to the pioneers in the field of surface active agents and the Düren plant is one of the most innovative sulphonation facilities of its era. In the 1980s the plant saw very first production of 70% ether sulfates in all of Europe. The facility belonged to Akzo Nobel until 2001 when it was taken over by Hansa Group AG. In 2014, however, Hansa Group AG went into insolvency with each of its plants being partitioned and offered for sale by Hansa’s successor, Gemini Holding AG. The acquisition was motivated by insufficient sulphonation capacities in Velvěty, resulting in the company’s inability to duly cover all inquiries of existing customers’ portfolio. The purchase will allow Enaspol to profit from synergy arising from both the increased capacity and complement to the company products’ portfolio. Of the biggest advantage is mainly the fact that the sulphonation unit in Düren is technologically identical with the production unit in the Czech Republic. Owing to the tradition in surfactants production in Düren, the products are well-known and established in the German market and boast of very good reputation. The newly found Enaspol GmbH committed itself to taking over the assets and all of the plant’s 20 employees. Besides the experienced, reliable and high-quality staff, many of whom have been working there ever since Akzo Nobel times, Enaspol earned substantial increase in one of its product’s capacity – alpha-olefin sulfonate – which we could no longer produce in the Czech Republic in large quantities. All business activities including procurement, sales, logistics and invoicing will still be conducted from Velvěty. Long-term aim of the acquisition is to establish a strong position of Enaspol as one of the leading producers of surfactants in European market. Company Enaspol was founded in 1996, then still a part of Spolchemie Ústí nad Labem. In 2000 the company underwent a privatization and saw capital entry of the contemporary owner, the Kasík family. Last year’s turnover of the company amounted 26 mil. EUR.